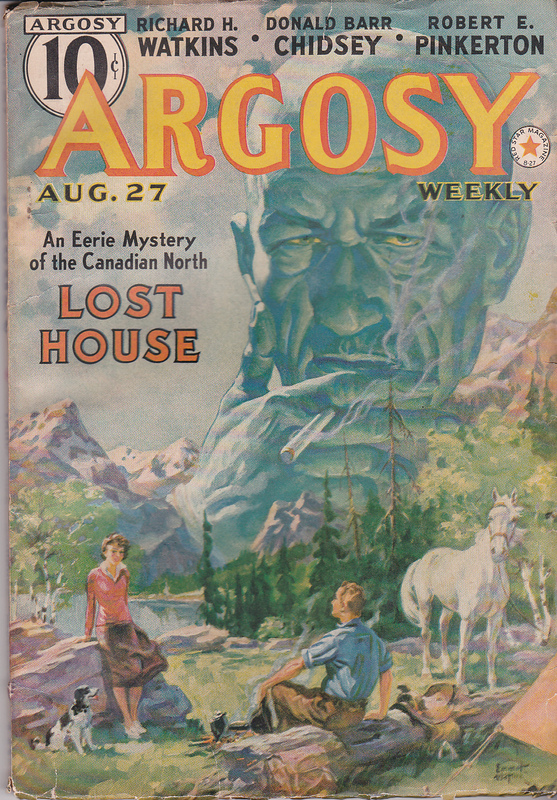 While researching literature for possible inclusion in The Great Fright North, I came across Lost House by Frances Shelley Wees, which was described as "an eerie mystery of the Canadian North" on the cover of Argosy (V.284 N.2, Aug. 27, 1938). This was the first of six weekly issues of Argosy in which Wees's story was serialized, so I jumped the gun (as is my nature) and bought each of them, with the hope that the story was truly "eerie" enough to be included in my book. Unfortunately, I was wrong.